We're inviting you to play and stay in our "Outdoor Paradise".We are open seven days a week. A guide and dogs are available; or bring your own dog. 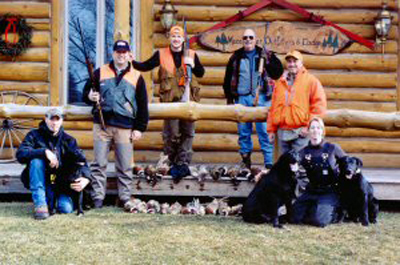 We are here to provide you with a memorable and safe hunt. 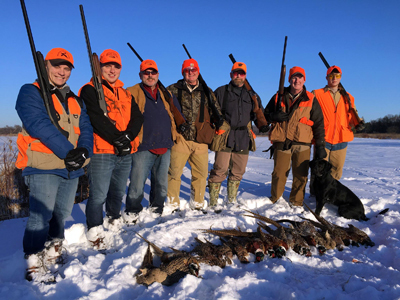 We can work with your schedule or help you with that young dog.After the hunt, relax with friends at the lodge with drinks and great food. 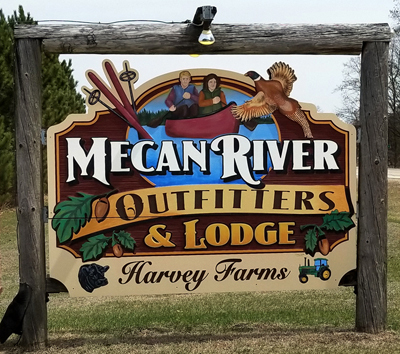 Mecan River Outfitters offers pheasant hunts on 500 privately owned acres located in the heart of central Wisconsin's best county for recreation with woods, water, farmlands, and marshes teeming with abundant wildlife. 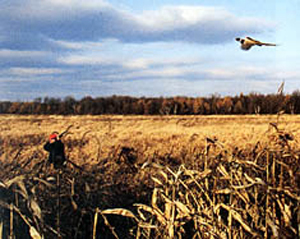 Hunt pheasant on open marshes, set-aside land and cornfields. This is prime habitat and excellent cover for the birds. We release top-quality birds with superior flight ability. 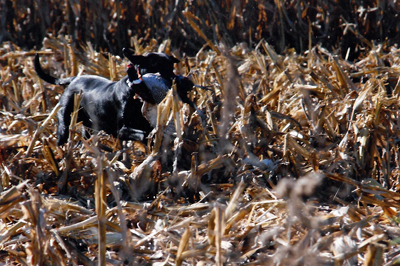 This not only makes for a successful hunt, but also improves your bird dog's performance. 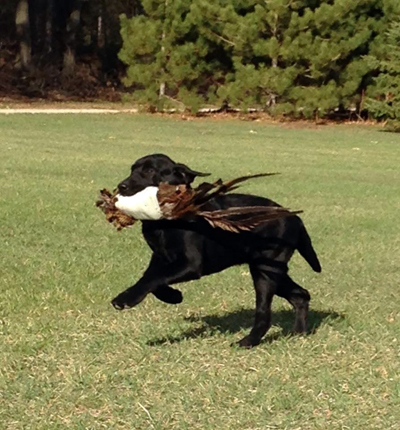 Our hunts are great for the first-time bird hunter or that young dog because of the quantity of birds. Our natural conditions also make for wild, wily-acting birds that have humbled the more experienced hunter. There are no bag limits and no license is required. We have open daily hunts, memberships and group hunts available. Our season runs from October 1st through mid-March. Call ahead for day and times available. We ask that you wear something orange, whether it is a hat or a vest. Memberships start October 1st, and ends February 28th. All membership birds must be used by February 28th. No carryovers into the following year. Membership prices hold through December 31st. Minimum release of hens and roosters 3 birds/hunter. Your number of birds is based on the number of birds released. 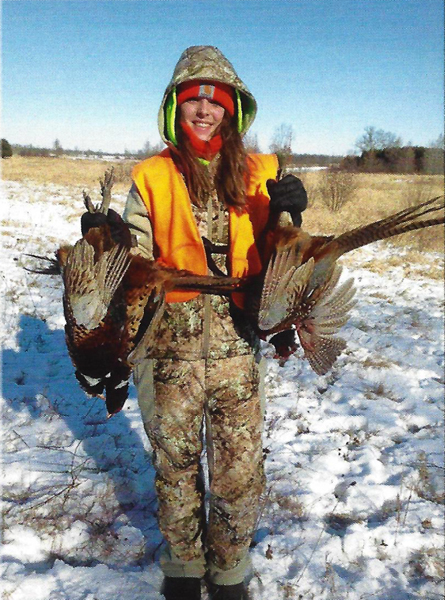 $95 per hunter (3 birds hunt) Oct.- Dec.
$98 per hunter (3 birds hunt) Jan.-Mar. Mecan River Outfitters has the right to cancel hunts to do weather conditions such as heavy rains. 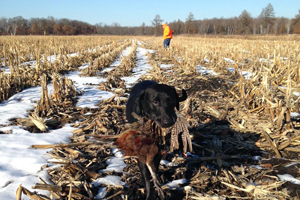 Dog and handler: $30/hour (1 handler to 3 hunters). 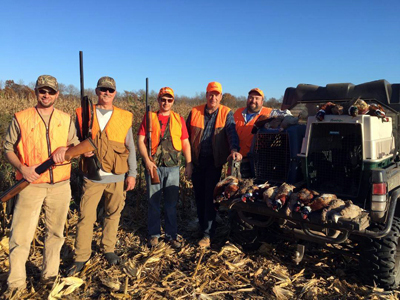 Additional birds shot over and above released hunts $18 (pheasant). Blaze orange is required. Smoked and dressed pheasants when available: Frozen exchange birds at $4.00 each.